The long-delayed construction of an 85-store outlet mall at Foxwoods Resort Casino will get underway Thursday, with a ceremonial groundbreaking and the unveiling of the stores that will occupy the shopping center. The $120 million mall, named Tanger Outlets Foxwoods, is being developed by Greensboro, N.C.-based Tanger and Gordon Group Holdings of Greenwich and will encompass 312,000 square feet. 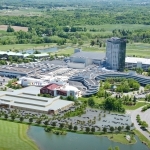 The outlet mall, first announced in early 2012, is to be built between the Grand Pequot Tower and the newer MGM Grand at Foxwoods and focus on luxury brands. The land is being leased from the Mashantucket Pequot Tribe, which owns Foxwoods. 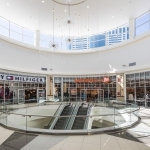 Tanger has declined to release what retailers will lease space until Thursday’s event, which begins at 10 a.m.
Construction was first scheduled to begin in spring of 2012, but there were reports of delays in reaching leases with tenants. 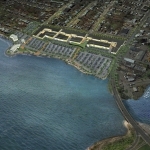 The project kept getting pushed back, though Tanger kept telling its investors that construction would start by the end of 2012. The plans seek to capitalize on an emerging trend of casinos adding outlet stores, which have been performing better that other traditional, full-price retail coming out of the recession. The plan seeks to capitalize on a trend of casinos adding outlet stores, which have been performing better than other traditional, full-price retail coming out of the recession. 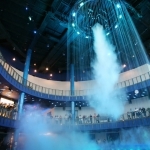 Foxwoods also hopes the mall will attract visitors uninterested in gambling and turn the resort into a destination where guests will book longer two- and three-night stays. 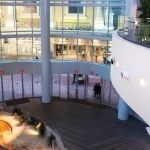 In late June, Foxwoods rival Mohegan Sun announced plans for a $50 million expansion that is expected to add 50 retailers and 200,000 square feet to its neighboring casino to its neighboring casino, entertainment and retail complex, raising the competitive stakes. 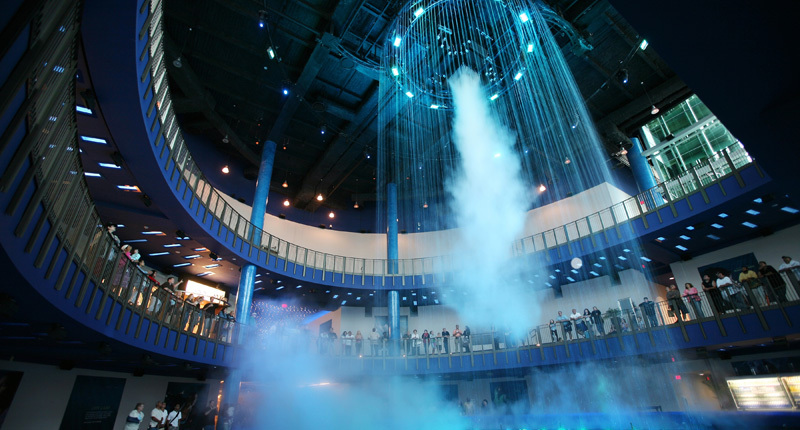 Foxwoods and Mohegan Sun are trying to differentiate their Connecticut casinos from those proposed for nearby Massachusetts and upstate New York. Foxwoods and Mohegan Sun are competing in separate regions of Massachusetts for licenses to establish resort casinos.